Innovare has found a niche media audience in the United States’ Out of Home media market. We have found that Marketers are extremely interested in the Employee, Doctor, Visitor and Patient audience that is on campus at the Hospital every day. Each of the Hospitals that we partner with serve communities of high value marketing demographics including education, age, gender, and high household income. As the United States media market drastically shifts into technology, it continues to be a challenge to effectively reach a valuable high income demographic. Innovare is laser focused on media within the health care industry, and as more and more people frequent hospitals each year, this will be a valuable marketing venue for years to come. 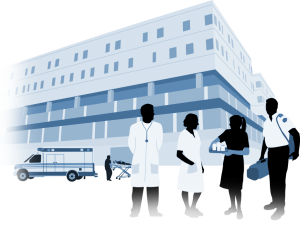 Innovare, as a part of the Out of Home segment, benefits from increasing hospital traffic every year in the health care industry. Our long-term marketing partnership allows for even the most sought after locations to be positioned with a more effective cost per thousand (CPM) in comparison to other media. Innovare will continue to uncover this opportunity in markets across the country and continue to leverage its proprietary economic model to connect with leading businesses and Hospitals.